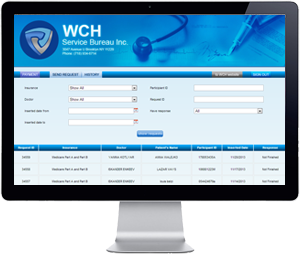 They are experts at medical practice billing and coding. But this value-added medical billing company had to better articulate their positioning as a full-service, revenue cycle management to attract for large, multi-state medical practice clientele. WCH Medical Billing Services turned to A. Lavin Communications for branding expertise and increased awareness. Working with their in-house designers overseas, we updated their logo, identity and refined their messaging. A. Lavin Communications also revamped and streamlined the monthly online magazine to a one page e-newsletter. Once their BrandConnect positioning and messaging template was completed, we media trained the COO of WCH so media interviews we arranged would be more productive. Our intensive content program garnered increased awareness within the medical community and led to engagements with larger multi-office practices. A Lavin Communications also helped conceptualize a cause-related marketing program in conjunction with one of the industry associations, to advocate for medical biller licensing and reduce Medicare and Medicaid fraud. The program is now being rolled out. With a new brand and product platform, A. Lavin Communications was able to redefine WCH and attract a larger client base through a targeted earned media campaign.